Global Warming Is A Lie ? A conspiracy, a myth to destroy “our” way of living? Now that I have your attention, let’s break it down to a few simple facts. I promise you, no charts, no scientific mambo-jambo, just a few simple statements. Let’s see where they will lead us. You may leave this blog entry at any time if it becomes too much to handle. We have released billions of tons of Co2 into the atmosphere over the last 150 years or so. All living things have Co2 inside which is taken from the atmosphere and it is released back into the environment when it decays. By burning those former living things, we pretty much release the Co2 that was trapped inside those things a long time ago. In other words – fossil fuels took Co2 from the atmosphere approx. 100 Million years ago and, by burning it, we release this ancient Co2 into our today environment. Do you accept those facts? Thanks for still reading. Now let’s talk about Co2. It’s not a healthy gas. As a matter of fact, if you had 10 parts of Co2 in 1,000 parts of air, you would asphyxiate. Remember those old submarine movies? But Co2 also influences how much heat can be reflected from the earth back into space. 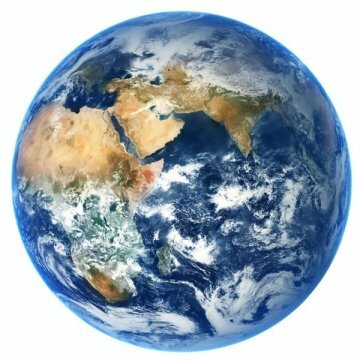 If we would have less Co2 in the atmosphere, our earth would be an ball of ice. Co2, like water vapor, modulates the temperature off our planet. This is a proven scientific fact – not a theory, not a philosophy, not a suggestion. It has been proven again and again and it is the objective truth. Can you live with this? Since you are still reading, we are now able to present a summary: We are adding billions of tons of Co2 into our environment and Co2 is influencing the temperature of our planet. In other words: This added Co2 nudges the temperature of our planet towards the “warmer” side. So – how much is too much? This is a good question. Especially since the worlds oceans capture a lot of CO2. Which is good right? Actually, it is not good. Because CO2 in water creates carbonic acid. Which dissolves calcifying organisms, such as coral and some plankton and will at some point disrupt the circle of life in the oceans. This blog over-simplifies the situation somewhat. But it’s not meant to be all-inclusive. It just gives you the very basics behind what is called “Global Warming”. It’s just not very intelligent to burn up ancient dead matter. And for two reasons: There is no unlimited amount of dead stuff available and it’s not good for our planet to release all this million-years old CO2 into our atmosphere. There were times in our planet’s history, when the composition of the atmosphere was very different. But there weren’t any humans around to witness it – so .. who knows 😉 However – life on earth has adapted to the temperatures and chemical composition of our environment as it is in our time. We depend on all the other animals and plants. We can’t survive without them. If we threaten them, we’ll be ultimately threatening ourselves. And that is just not worth it. clear simple sentences for simple obscured minds. federico on Global Warming Is A Lie ?